Set in the area of Ronda this hotel is within a 10 minute walk of the Monastery of Saint Jerome. The Don Juan Hotel Granada includes a coffee bar, meeting rooms and family/oversized rooms. 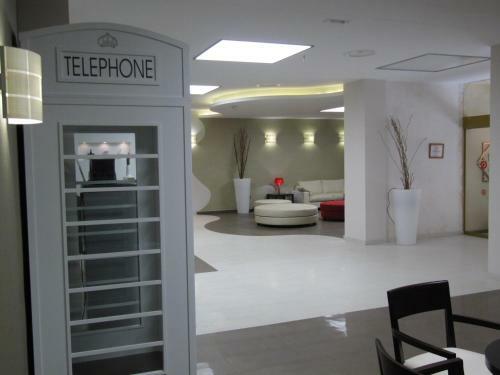 The hotel also offers luggage storage, a concierge and a 24 hour reception. The hotel also has ski lockers during the winter months. The air-conditioned rooms at the Don Juan Hotel Granada are large. A hair dryer, complimentary toiletries and a private bathroom can be found in each room of the hotel. An in-room closet, a laptop safe and a flat-screen TV are also available in each room. The Don Juan Hotel Granada has a conveniently located on-site café. The hotel's comfortable restaurant serves breakfast, lunch and dinner. Lots of other eating options are offered within a short stroll of the hotel. Located just a stone's throw from a number of popular hot spots, the hotel is near lots of bars, nightclubs and quality places to eat. Generalife is less than a 20-minute car ride from the hotel. This hotel is 2120 metres from the Alhambra entrance, 1028 metres from Plaza Nueva (the absolute centre of Granada), 872 metres from the train station and 2547 metres from the bus station.